A hundred to a hundred and fifty years ago most homes had access to water only via a village pump or a shared well. 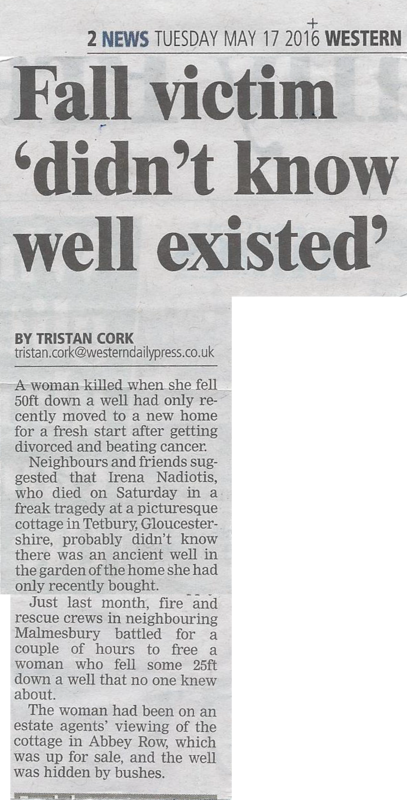 As properties were put on mains services, the well became redundant. The brick or stonework in the first few feet of the well was often retrieved for use elswhere(recycling) .One of three things then happened. A proper concrete or brick dome was built to cover the top and make the well safe. Sometimes-but not often- the well was used to dispose of what was then deemed as 'rubbish'.and these days some of the items could have a value!.. More often than not,all that happened was that timbers of some description were laid across the the top of the remaining bricks or stone and then the top few feet filled with rubbish..
After all this time,the timbers are rotting away and this is now becoming a possible danger. These well tops can collapse quite suddenly and if the well is empty,a drop of thirty feet to water would not be uncommon. 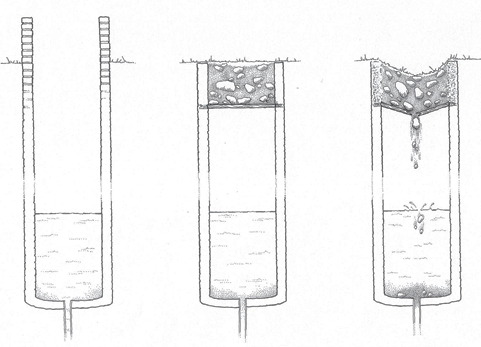 The position of old wells is often lost, even old plans may mark a well but these can be inaccurate. Some have been built over as houses are extended and altered. One of the things we are asked to do these days is to check if there has been a well on the property. They can often be brought back into use and also become a feature.There could also be anything down them from animal bones to the family silver.